Only myself and Mr_Mustache voted for Brinstar... poor Brinstar but Corneria won in a landslide. 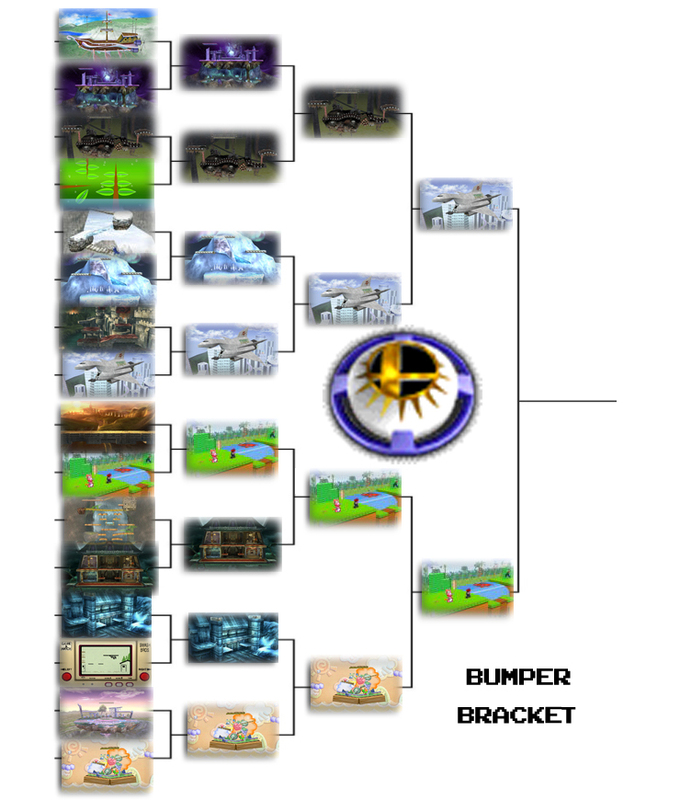 Kingdom II squeaked out by only two votes from Yoshi's Island for the N64 and Melee. It seems that version of a Yoshi stage just didn't have the staying power any further. Birdo-fans rejoice! Sad to see the departure of Yoshi's Story, my first favorite Smash Bros. stage. At least Birdo lives on.